Time to plant those juicy ripe tomatoes you’ve been looking forward to! You can either raise your tomatoes from seed or just transplant some seedlings! There are a wide variety of tomatoes on the market, ranging in colour and size; most common are Roma, Black Russian, Cherry, Tiny Tim, Siberian Heirloom and Gross Lisse just to name a few! Tomatoes are hardy plants once established, however don’t like too much cold weather and prefer well-prepared soil and a protected area in your garden to get thier daily dose of sunshine! Don’t forget a regular watering regime. A quick tip is once your plants get their second lot of flowers – spread about some of our Katek N-Phoska+TE pelletised blend – which has all the nutrients for your plants to produce more tomato crop and tastier fruit! 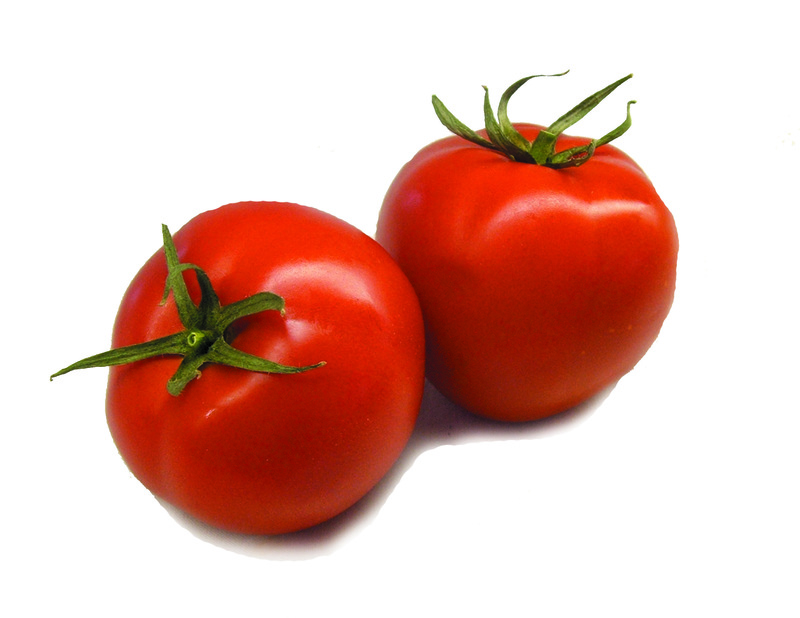 Look forward to throwing those tomatoes into your summer salads in anywhere from 45 to 65 days, dependent on the size of the tomato! 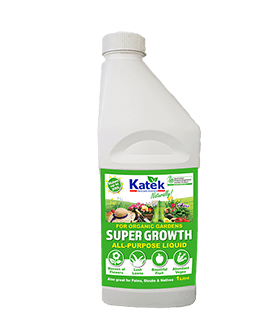 Katek Super Growth All-Purpose Liquid Fertilizer! 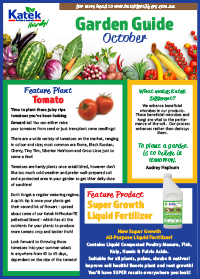 New Super Growth All-Purpose Liquid Fertilizer! Contains Liquid Composted Poultry Manure, Fish, Kelp, Humic & Fulvic Acids. Suitable for all plants, palms, shrubs & natives! Improve soil health! Boosts plant and root growth! You’ll have SUPER results everywhere you look! Henry Kross, Wolvi, South East QLD. 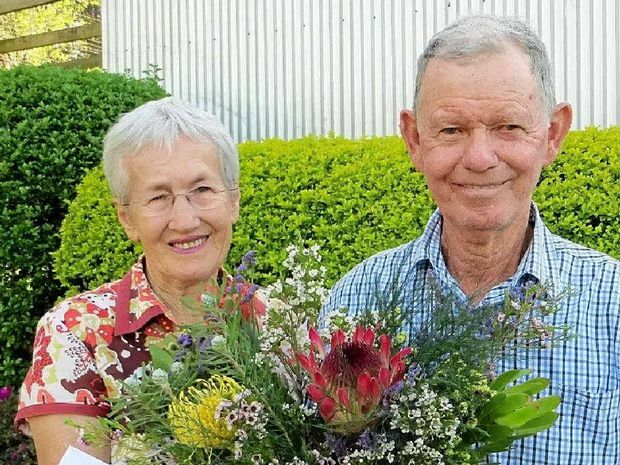 Henry and Dell Kross are award winning gardeners and Katek customers. Their country garden combines ornaments, colourful outdoor settings and garden rooms. They have used many different fertilisers, but “We always come back to Katek. The main benefits are growth and really good colour. Our view is – If you’re on a good thing, stick to it!” says Henry. Fertilize all summer flowering plants with Katek Rose & Flower Fertilizer to promote blooms over the next couple months. Give your geraniums a prune and a good helping of liquid fertiliser. This will stimulate them to have new growth and flowers next season. Prune Azaleas to desired shape after they have finished flowering.Try not to cut any one branch back more than one third of its original size. Divide up canna lily plants.